Like a lot of people out there I love Dragons. They are among the most fascinating and spectacular of fantasy creatures. Dragons can come in all shapes and sizes. Some are nothing more than savage beasts. A Dinosaur that can breath fire whilst other Dragons serve as a metaphor for greed and some can even offer up are a rare blend of immense power, wisdom and grace. They can be anything from the heroes funny sidekick to their arch enemy to the destruction of mankind itself! In this article I am going to look at my top 10 Dragons. As always all opinions here are my own and let me know which of any of my choices you agree with. One of the few well known female Dragons in popular culture. Dragon who is voiced by Frank Welker appears in every entry of the Shrek series though her most prominent role is in the first and in my opinion best Shrek movie. Dragon is a ferocious beast that guards Princess Fiona. She kills scores of knights who try and rescue Fiona from her prison, but is later shown to be susceptible to flattery when Donkey is able to charm his way out of being eaten alive. Like a lot of monsters in popular culture Dragon ultimately just wants to be loved and though he appears reluctant at first Donkey eventually begins a relationship with her with the two even having children. I don’t even want to think about how Donkey could have conceivably got a creature 30 times his size pregnant. Dragon proved to be a very popular character with audiences. Indeed the final scene with her Dronkeys was only added in at the very last minute as initial audience reaction had proven negative due to her absence. Dragons best moment for me is in the first Shrek movie where she devours the main antagonist Lord Farquad voiced by John Lithgow. Later films in the series depict Dragon as becoming domesticated and thus more vulnerable such as in Shrek The Third where she is captured relatively easily by Prince Charming. Though despite this she still manages to cause his death too. Overall Dragon served as quite a good comical take on the more classical interpretation of Dragons in popular culture and served as a great foil to the Donkey character. One of the late great Ray Harryhausen’s more overlooked creations this is also one of the most badass Dragons of all time. It is kept chained up by the evil wizard Sokurah in his cave. Despite this he appears to be able to control it or it appears to be loyal to him as the Dragon later obeys his orders after it is unshackled. The Dragon is kept as a kind of guard dog for his cave as Sokurah lives on an island of giant man eating Cyclops’s as well as giant two headed birds! Like I said even by Dragon standards this is pretty badass to be the top dog on an island of Giant two headed Eagles and Cyclops’s and living Skeletons. The Dragon eats the Cyclop’s for breakfast, literally they are its food supply! This is what the Dragon eats for lunch! Just goes to show you there is always a bigger fish. 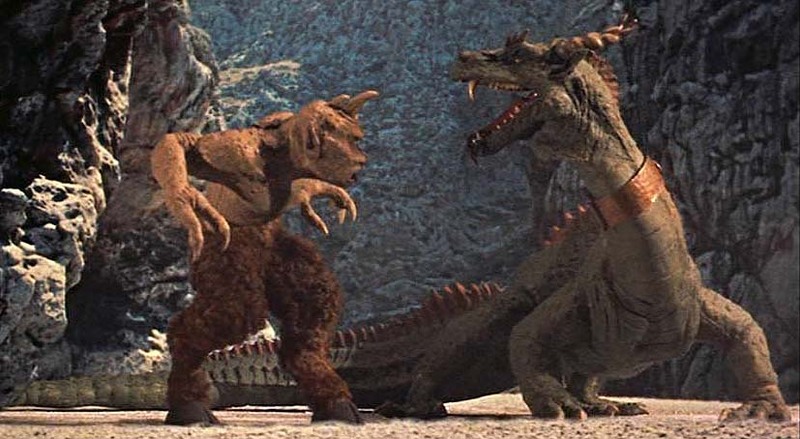 The fight between the Dragon and the Cyclops is one of the best monster battles in Harryhausen’s career. It kind of reminds me of the fight between Kong and the large Theropod Dinosaur in King Kong in that here we have a more mammalian creature that uses its big arms and intelligence battling a large reptillian creature that uses its massive jaws and killer instinct. Like Kong vs the Dinosaur its a great tooth vs fist fight. Though the Dragon can breath fire it kills the Cyclops using only its sheer brute strength alone and literally crushes the behemoth in its jaws. The Cyclops does put up a good fight it must be said, but the Dragon ultimately proves who the real king of Colossa is. The only bad thing about the Dragon is that he is killed a bit too easily. Really his death is almost as anti climactic as Lord Farquads! They literally just shoot the Dragon and that’s that. Its a shame as I really wanted to see the Dragon attack Sinbad’s men like the Cyclops did earlier, eat a couple of them maybe even use its fire breath on them, but sadly they just shoot it and that’s that. It almost feels like we were cheated out of one last big monster fight. Still overall its a brilliant Dragon and its a shame that its often so overlooked even by fans of Harryhausen. Dennis Muren a special effects artist who worked on Jurassic Park among other things later mentioned that when he went to visit Harryhausen when he was younger he saw the broken remains of the model Harryhuasen had used to animate the Dragon in The 7th Voyage of Sinbad, and thought to himself that it was such a shame that such a fabulous, magical creature had come to an ending like this. The main antagonist from the movie Dragonslayer. Vermithrax is a massive, savage animalistic monster that has to be appeased through a sacrifice of several virgin girls every two years. This Dragon fulfills the classic fire breathing, death to humanity, relentless monstrous image of a Dragon prevelant in popular culture better than most others depictions. The creature was brought to life through a process called Go Motion, an advanced form of the Stop Motion process used by Ray Harryhausen and earlier Willis O’Brien. At the time the effects were considered groundbreaking and personally I think they still hold up brilliantly. They might not be quite as smooth as say the effects for Draco in Dragonheart and Kilgharrah in Merlin, but like Harryhausen before him Phil Tippet is able to inject a lot of personality into the Dragon, making it more than just a rampaging monster. Reign of Fire is I think quite an overlooked monster mash. It revolves around an ancient race of prehistoric Dragons being awoken from their ancient slumber and ravaging mankind driving them to near extinction. Reign of Fire whilst not a classic movie I think offered up quite an interesting, fresh take on Dragon stories. It was kind of like a Zombie appocalypse movie with Dragons. Also seeing what were really classic medieval Dragons in a modern day environment was quite unusual too. The King Dragon is the only male Dragon of the species. It is larger than the females and even eats them for breakfast. 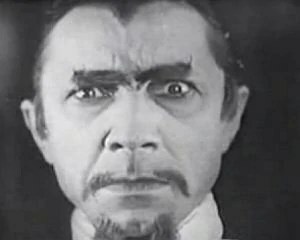 It is the main villain of the film though it is only featured in the final spectacular sequence. You got to give this Dragon major points for virtually exterminating all of mankind. Vermithrax may have eaten a few virgins and knights, the Harryhausen Dragon may have eaten Cyclops for breakfast, but this Dragon and his kind destroyed all of human civilisation. They deserve a place on any top 10 Dragons list. From the classic Disney adaptation of Sleeping Beauty, Malifecent is truly one of cinema’s most iconic fire breathing reptiles. I wasn’t sure on whether or not to include her here as I suppose technically she isn’t a Dragon, she just turned herself into one at the end. Still I don’t really think you can talk about Dragons and not mention her thrilling fight at the end with Prince Phillip. The highlight for me is definitely when after Philip stabs her and she falls to her death we still see her try and reach out and devour him. It just shows what a relentless and vicious opponent she truly is the way that even when she is dying and in tremendous pain she still doesn’t give up and very nearly manages to kill her enemy. 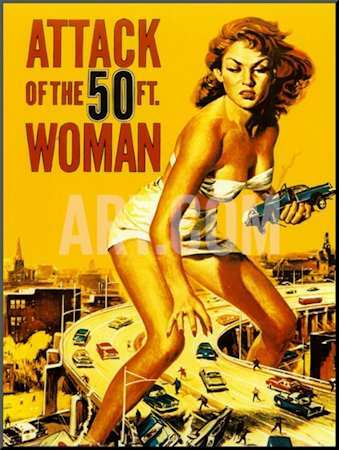 Godzilla’s arch enemy. Ghidorah is truly the most spectacular looking Dragon on this list, with its golden skin, two tails, three heads and voice like a bell! Ghidorah has been a thorn in the king of the monsters side for many decades now. He is so powerful that it often takes the combined might of several monsters to bring him down. Over the years he has been reimagined as everything from an ancient terror from outer space to a mutation to a cyborg (called Mecha Ghidorah) to a powerful deity. One movie Godzilla, Mothra, King Ghidorah Giant Monsters All Out Attack even portrayed Ghidorah as a good guy. Generally speaking however Ghidorah is a villain and has been responsible for the destruction of many worlds including ancient Mars. The design of Ghidorah was based largely on both the eight headed Dragon from Japanese mythology and the Lernean Hydra from Greek Mythology. Its doubtless that Ghidorah will continue to plague Godzilla for many more years to come. With a sequel already conformed for Gareth Roberts 2014 reboot how long can it be before the King of Monsters most iconic of foes returns once again? The main Dragon from The Hobbit novel and film series. I must confess I found Smaug to be more impressive in the film adaptation than in the book, probably because his role was expanded in the films. In Peter Jackson’s Hobbit trilogy Smaug was voiced and interpreted with motion capture by Benedict Cumberbatch. 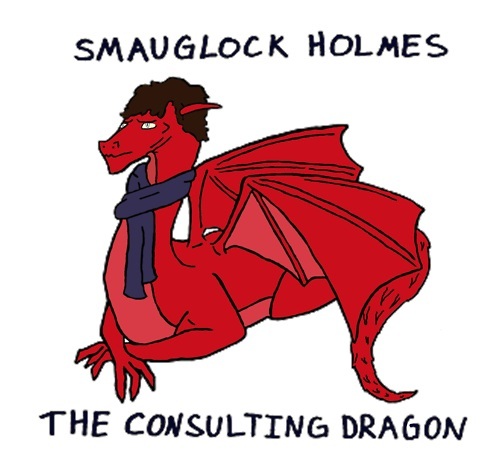 Cumberbatch was absolutely superb as the Dragon. He really captured the arrogance and sneering viciousness of the villain perfectly. No scene better demonstrates this than the ending to the second Hobbit movie “The Desolation of Smaug” where the Dragon declares that he is fire and death itself. Cumberbatch really gives it his all in this scene and it doesn’t disappoint. 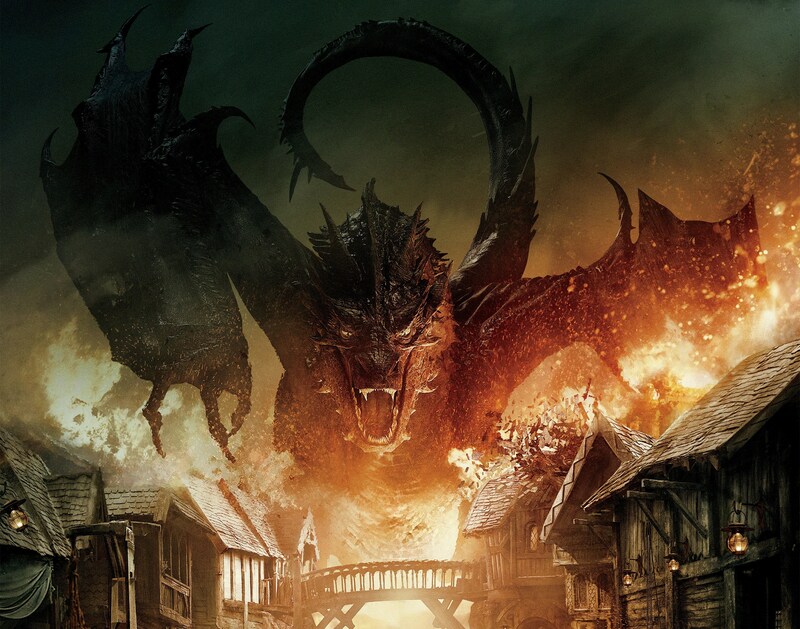 Many have hailed Smaug as being cinema’s greatest Dragon. Personally I wouldn’t go that far. A part of me will always retain a certain affection for the classics, but I’d say that Smaug is the best realized Dragon on a technical level. There really is nothing to fault about the impressive effects used to bring the beast to life nor Cumberbatch’s captivating performance. The main Dragon from Dragonheart, Draco is voiced by Sean Connery. Draco unlike pretty much every other Dragon on this list is a good guy through and through. I think having Sean Connery who is not only known mostly for his good guy roles like James Bond or Indiana Jones’s father Henry, but whose voice also seems somewhat friendly too really helps to get across that this Dragon is a good guy and can be trusted right away before we even know anything about him. Connery was as well cast for this Dragon as Cumberbatch was for Smaug. Just as Cumberbatch captured Smaugs arrogance and viciousness Connery manages to capture Draco’s sense of fun, his dry sense of humor and above all is able to make him seem very likable and safe to be around. I remember actually crying the first time I saw Draco die when I was a child. Whilst Dragonheart may not be held in that high a regard (I don’t know why I love it!) It says a lot about a movie when it is able to make you cry over the death of a Dragon. Whilst Connery’s performance as the creature really is what gives Draco his personality, credit must also go to the effects team too who do just as superb a job in making the Dragon seem realistic. Even today almost 20 years on the effects for Draco are still every bit as believable as they were when the movie was first released. Also known as The Great Dragon, this fire breather is one of the main characters from the BBC series Merlin. He was voiced by John Hurt. John Hurt to me has the best voice for any Dragon. Even more so than either Connery of Cumberbatch. Having said that though I think all three of them were best suited to the Dragons they played. Cumberbatch’s voice was definitely the best for the evil, arrogant, menacing Smaug, whilst Connery’s was the best for the friendly, fun loving Draco and finally Hurt whose voice definitely has more of an edge to it was the best choice for the somewhat untrustworthy, manipulative, sly, but not entirely evil Kilgharrah who had motives we weren’t always sure of. I suppose its quite cool in a way as you can look on Cumberbatch’s Dragon as the Sherlock Holmes Dragon, Sean Connery’s Dragon as the James Bond Dragon and John Hurt’s Dragon as The Doctor Dragon. There’s 3 things these three guys Cumberbatch, Connery and Hurt have in common. Excellent voices, all played an iconic British hero, Holmes, Bond, The Doctor and all voiced a giant fire breathing reptile. Its not just for Hurt’s impressive performance that Kilgharrah ranks so highly on this list. For me Kilgharrah has easily the most interesting and 3 dimensional personality of any of the beasts on this list. He is not just a rampaging monster like Smaug or Vermithrax, but he isn’t a good guy like Draco. Oh no far from it he is probably one of the biggest mass murderers on this list. Kilgharrah is introduced in the first episode of the series. It is said that he is the last Dragon having been chained below Camelot by the Tyrannical Uther Pendragon played by Anthony Stewart Head (ironically Head said that Kilgharrah was his favorite character in the series because he was voiced by John Hurt and he found him to be the most interesting character). Kilgharrah is chained below to serve as an example of what happens to those who use magic with Uther having outlawed magic after he became king. The Dragon however is able to contact the young warlock Merlin and informs him of his destiny. According to Kilgharrah Merlin and Arthur, Uther’s son will unite the lands of albion and bring magic back to Camelot creating a perfect utopia where everyone can live in peace. The Dragon tells Merlin it is his job to protect Arthur from Uther’s many enemies and make sure he becomes the great king he has foreseen. This forms the basic premise of the show. Something threatens Arthur and whenever Merlin is stumped he goes down to ask the Dragon for advice who always gives it in a cryptic way which pisses Merlin and many viewers off immensly. Over time however they are able to flesh the Dragon out into being one of the shows most interesting characters. We later discover that he is only helping Merlin in order to free himself as when Arthur is king and magic is restored then he will be freed from Uther’s prison. He also demonstrates a ruthless streak too such as telling Merlin to allow a young child that Kilgharrah has foreseen as causing Arthur’s death to be executed. This child is later revealed to be Mordred himself. He also very nearly causes the death of Merlin’s mother viewing her as a necessary sacrifice for Arthur’s life. This of course leads to a massive fight between the young Warlock and the Dragon where Merlin vows that even if Arthur does become king for what he has done to his mother he will never be released and the Dragon actually tries to kill Merlin. This is definitely one of my fave moments in the entire series. Ultimately however when another powerful sorcerer threatens to destroy Camelot Merlin is forced to go to the Dragon for help and the Dragon this time only agrees as long as Merlin promises him he will free him. After this the two continue to work together throughout season 2 and we see the Dragon and Merlin despite their past feud begin to trust each other again. We also see other sides to the Dragon’s personality along the way too. In “The Witchfinder” we see how the Dragon genuinely does care for Merlin in spite of everything as he is genuinely sorry when he cannot help him save Gaius his friend. We also see a more humerous side to his personality too when he laughs at the idea of Uther marrying a troll. 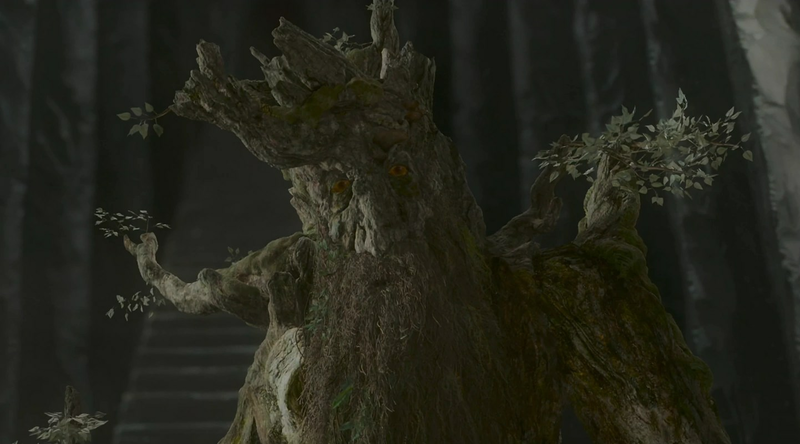 To be fair to the Dragon this is who Uther thought he was marrying thanks to the Troll’s magic. But this is who he actually married! At the end of series 2 Merlin is forced to honor his word and free Kilgharrah who goes on a massive rampage throughout Camelot in revenge for his imprisonment. The Dragon seeks to make Uther his vile jailer pay not just by killing him but by burning his entire kingdom to the ground. In this episode Kilgharrah proves that he only cared about his own freedom after all as now that he is free not only does he not continue to help Merlin protect Arthur but he actively tries to kill Arthur and destroy Camelot. Each night the Dragon attacks the city and kills hundreds of innocent people, burns whole buildings to the ground and no one and nothing not even Merlin is able to stop or even just hurt him or slow him down. He blasts his way through all of Camelot killing knights and civilians just as easily en mass. I always loved that moment when Merlin pleads with the Dragon to stop and screams at him that he is killing innocent people. It just goes to show how even Merlin is shocked at what the Dragon is doing. Clearly in spite of everything the Dragon did he never thought he would actually go this far and he is genuinely heartbroken that a creature he once trusted, even looked on as a friend is capable of such great evil as he stands there hopelessly pleading with the Dragon surrounded by the bodies of his victims. Merlin is forced to recruit his father, Balinor who is a Dragonlord to stop Kilgharrah. The Dragonlords were the only people magical or otherwise who could harm the Dragons. It is revealed that Uther tricked Balinor into helping him capture Kilgharrah years before when Uther first imprisoned the monster. Balinor however is later killed before he can help Camelot, and all seems lost, until it is revealed that a Dragonlords powers are transported to their child when they die, meaning Merlin is given his powers. Armed with these Merlin is able to stop Kilgharrah before his next rampage (though not before he roasts a few more of Arthur’s knights and nearly kills the Once and the Future King himself). With the Dragon now powerless he begs Merlin not to kill him, not for his own life, but as he is the last of his kind he does not wish the Dragon race to come to such an ignoble end. Merlin spares the beast but promises him if he ever attacks Camelot again he will kill him. This proves to be the right thing to do as at the start of series 3 the Dragon saves Merlin from certain death at the hands of Morgana and Morgause. I always loved this development. The Dragon went from being the lowest of the low murdering innocent people in Camelot to saving Merlin in the opener of season 3. From this point on the Dragon continues to help Merlin fulfill his destiny and the two are shown to develop a much greater and deeper friendship than ever before. Like I said before Kilgharrah is really the only Dragon on this list with a proper well developed personality. He starts out as a mysterious, but generally trustworthy mentor to Merlin, but then we discover that he has ulterior motives and is not above manipulation and ruthless actions to get what he wants. Then however we discover how he doesn’t just simply want freedom but vengeance too. Even then however they never go too far in making Kilgharrah evil. His villainous actions in series 2 are understandable. Certainly more so than Smaug who is just an evil fire breathing monster. Uther Pendragon is a ruthless tyrant who persecutes magical creatures and Kilgharrah has lost anyone he ever cared about the rest of the Dragon race thanks to Uther. He is now all alone. Thus who could blame him for wanting to get back at Uther and avenge his kind or even make Camelot itself that has willingly served Uther and helped him carry out many genocides including the Dragons pay for their crimes. As you can see the viewer is invited to have sympathy for Kilgharrah even during his darkest moments. Its not like Smaug or Vermithrax. Kilgharrah has reasons for his rampage, reasons that we can even sympathize with. Ultimately however Merlin does have to stop him as he is still killing innocent people. After seeing how Merlin showed mercy to him Kilgharrah’s personality changes. He goes from being the selfish, vicious creature of the earlier series to being a hero and a friend of Merlin’s who is always there when he needs him the most. Sadly however whilst Kilgharrah’s development across the first three seasons is very well done in the final two seasons they completely waste his character. There isn’t really much I can say about him in the final two seasons and its a shame. To waste such a good actor like John Hurt and character like Kilgharrah is awful, but then again the last two seasons of Merlin overall are a huge waste of time and potential in so many ways. There was potential for an interesting storyline with Kilgharrah in series 4 where Merlin discovers another Dragon egg, a White Dragon’s named Aithusa. The scene where Aithusa hatches is a real classic moment, among the few from Merlin’s final two seasons. Many fans thought what with Aithusa being a White Dragon that they would try and adapt the myth from Arhurian legends of the two dueling Dragons one red and one white. Sadly however all of this potential was wasted. Its hard to say what the biggest waste in Merlin is to be honest but Aithusa is certainly up there. Still despite this Kilgharrah ranks as one of my fave Dragons as of all the Dragons on this list he has the most well developed, complex and interesting story and character. This coupled with the impressive effects used to bring the creature to life and John Hurts fabulous vocal performance really help him stand out as something special even among Dragons. He truly is The Great Dragon. Okay now I know what you’re gonna say. Godzilla is not a dragon, he is a Mutated Dinosaur and you would be 100 percent right. He is a mutated Dinosaur, but still I say that he could also be seen as a Dragon too. There are no real strict rules for what is and what isn’t a Dragon remember. In the East Dragons were often seen as great creatures of wonder and wisdom in Europe they were creatures of greed and evil. All a Dragon needs to be is a giant fire breathing reptile. As far as I can see Godzilla fills those requirements. Look at his bit from Merlin with Kilgharrah rampaging across Camelot. Tell me what is the difference between it and a scene from a Godzilla movie? In both you have a city under siege from a gigantic fire breathing reptile. All the knights of Camelot and the soldiers of Tokyo are doing their best to stop it, but they are all powerless. All of their weapons, arrows, shields, tanks, airplane’s are powerless against the fire breathing monster. Some might say Godzilla isn’t a dragon as he isn’t magical, having been born out of an atomic blast. However again I argue that this doesn’t matter. Plenty of other fantastical creatures have been brought to life through scientific means in various stories over the years such as the Vampires in Blade. Also I might add the Dragons in Reign of Fire are created through scientific means as well so therefore so if they count as Dragons then why not Godzilla? To me Godzilla is just a Dragon like Kilgharrah in a modern day environment. Rather than Camelot it is Tokyo a large modern city he flattens. Rather than Knights it is the military who try and fail to stop him. Like the Dragon’s of ancient times Godzilla can be both a cruel destroyer, and a savor. Also like the Dragons of mythology he can serve as a metaphor for the very worst aspects of human nature. In ancient Dragons like Fafnir’s case greed, in Godzilla’s man’s disregard for the environment, with Godzilla being a product of atomic testing. I think through Godzilla you can also see how people tended to view atomic power and even radiation as almost being like magic in the 1950’s and 60’s. In many ways radiation took magic’s place in a lot of fantasy stories. In sci fi stories from the 50’s-60’s radiation or some form of unchecked atomic power did all the things magic in ancient myths as well as fantasy stories like The Lord of the Rings used to do. It raised the dead, it created giant’s, it created giant fire breathing reptiles, it created hideous hybrid creatures that defied the laws of nature itself. Radiation or unchecked nuclear or atomic power was just the new magic during the 50’s and 60’s. So to me yes Godzilla is a Dragon. Of course he is a mutated Dinosaur, but a mutated Dinosaur can count as a Dragon too. Its just a different type of Dragon to say Kilgharrah who is created by magic the same way that Kilgharra was different to those Dragons in Reign of Fire. As to why Godzilla is my fave Dragon well do I really need to explain? Godzilla is a character like the Doctor, James Bond, Sherlock Holmes, Batman or Tarzan. He is an icon, most important in the country he originates in sure, but still beloved around the entire world and instantly recognizable to everyone. Godzilla is really the ultimate giant monster in popular culture, topping even King Kong. If you were to ask me what I prefer Godzilla as a villain or a hero then it would definitely be a hero. I grew up with him as a hero you see and it was always such a thrilling moment watching Godzilla emerge when all hope was seemingly lost and kick the crap out of the likes of Ghidorah and Gigan and Ebirah. Personally I loved that in the latest Gareth Edwards Godzilla movie when he thrashed the muto’s. The bit where his atomic breath comes blasting out of nowhere is one of the best scenes in the movie. I think you need to have Godzilla fighting other monsters. If its just him blowing up humans then it gets boring after a while. However problem is if you keep him as a villain then he has to lose to other monsters which isn’t really a good thing for someone who is the supposed King of the Monsters. Thus you can see why in most depictions Godzilla is a hero or an anti hero, or at the very least the lesser of two evils. Having said that though I would agree that the original 1954 Gojira is the best Godzilla film in pretty much every way. Acting, writing, even how the monster is brought to life. People may sneer at the man in a suit from the earlier films, but I think in the original they are able to cover up the flaws a lot better too as the monster is often shot from below so as to appear immense and concealed in the shadows. Still whilst the 54 film is the best, I’d say that my personal fave is Terror of Mechagodzilla. Godzilla is a truly iconic character. He even has his own star on the Hollywood walk of fame. Whilst some may not consider him a Dragon I’d say that he is the ultimate Dragon. Love Dragons! Smaug was fantastic.